Former Pa. Gov. Ed Rendell spoke in support of the Report Card at our release event March 19 in Washington, DC. What a great day to be a member of ASCE ai??i?? or a civil engineer in general. Today, the Society issued the 2013 Report Card for Americaai??i? ?s Infrastructure, which if the last edition from 2009 is any guide, will attract attention from almost everyone, from the national media up to the president of the United States. And the headline is, weai??i? ?ve given the nation a slightly better grade than four years ago, going from an overall grade of D to a D+. 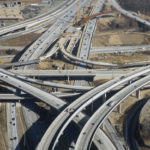 As civil engineers, we believe we are the stewards of infrastructure ai??i??Ai? ?we designed it, we built it, and we actually oversee the operations and maintenance of it in many cases. So as stewards, we have a responsibility with the Report Card to call attention to the state of the nationai??i? ?s infrastructure. Our new Report Card calls for an investment of $3.6 trillion over the next seven years, $1.6 trillion more than anticipated. Even at that, former Pa. Gov. Ed Rendell called such an investment ai???modestai??? at our announcement today. I encourage you to review the Report Card and all 16 categories. 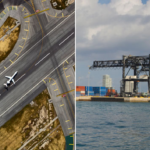 The best way is through a free app now available for all Apple and Android smartphones and tablets, enhanced with interactive charts, maps, videos and more. 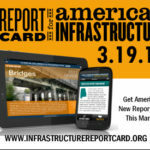 Click on the following to download: for iPads and iPhones or for Android devices, or go to our official Report Card website, www.infrastructurereportcard.org, and click on the icons there. Of course, the complete, detailed Report Card can be reviewed at the official site. There’s also a “Pocket Guide” app for iPhone users. I was proud to lead todayai??i? ?s release event in Washington, and of all the hard work on the part of members and staff that the Report Card represents. Watch for coverage of our (and your) new Report Card, and help spread the word with its app in your pocket. What’s your perspective on the new Report Card? Tell me what you think in the comments below. 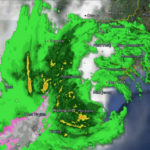 Has ‘Superstorm’ Sandy Reshaped Our Responsibilities? Great information in the Report Card. The new “app” is a great vehicle for the dissemination of the data. Check out the videos on YouTube. They can be used to explain the basic functions of our infrastructure networks. Kudos to the staff and volunteers involved in this significant undertaking.